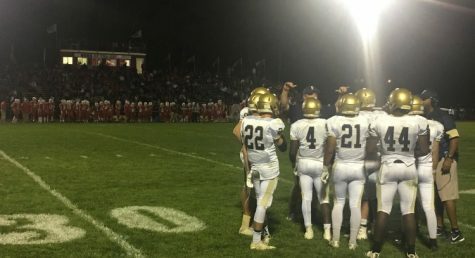 Howell Township led by Eddie Morales won their first game on their newly renovated field Friday night. 55-35. 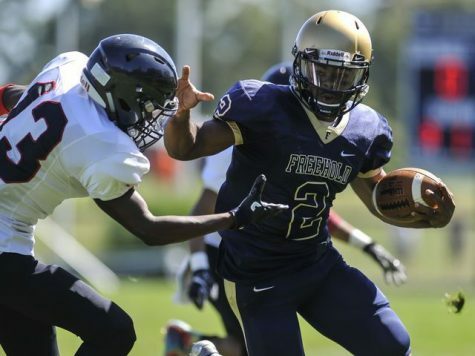 Freehold’s offense was once again led by Ashante Worthy who was the starting quarterback. He had about 286 yards passing and 338 yards rushing. Totaling to more than 500 yards on the night. The only setback was his four interceptions. Worthy seemed to have a good amount of time to throw, but possibly too much time to think for the running back turned team quarterback. Worthy is not a pocket quarterback. He is as unorthodox as they come. Worthy’s unconventional strategy usually works to the benefit of the Colonials but was unable to fool the Rebel defense. The Colonial defense, from kickoff to a few minutes in looked completely disoriented- giving up 2 touchdowns in a matter of minutes. 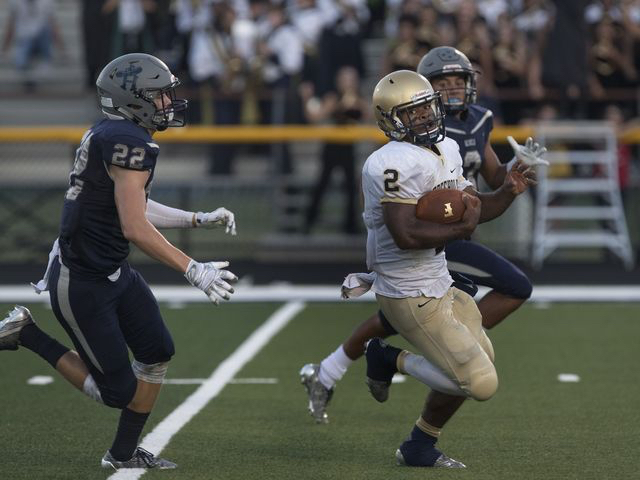 Luckily the Colonial offense answered back with two touchdowns of their own. At this point the game was within grab of the Colonials. As the game progressed the Rebels figuratively and literally slipped through the defense’s outstretched arms as big tackles were just not being made. This was due to the fact that the team was out on the field far too long. The Colonials ended up giving up 55, but it wasn’t all credited to the defense as the offense had their fair share of turnovers. 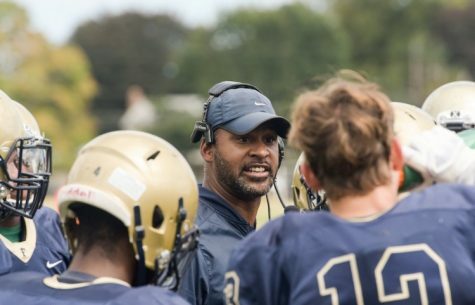 Overall the passing game for the Boro was not a strength, Howell’s big man secondary was able to cover Worthy’s favorite targets such as Quincy Davis, Matt Krauss, and Matt Dasilva. This caused Worthy to keep the ball several times. 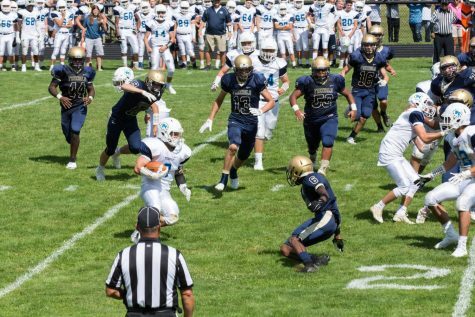 In the first quarter, Freehold fans got a glimpse of the Ashante from last year, as he took the ball himself for an 80+ yard rushing touchdown in the first quarter. In the Township game, Worthy was more balanced, throwing more- taking advantage of the Patriots inability to cover his receivers. Against Howell, Worthy saw running as his last resort, it was the one thing he could fall back on- a major reason the Colonials were able to put up 35 points. 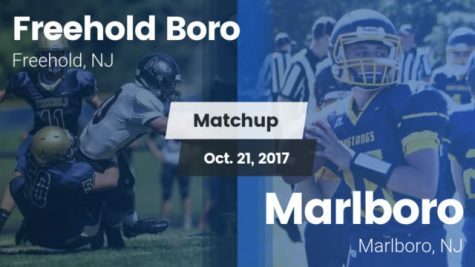 In the end the Boro fell short as Howell powered through in the shootout under the lights. Although the game goes down as a mark in the loss column for the Colonials, they proved to put points up on the board, and stayed within striking distance during the first three quarters of the game. 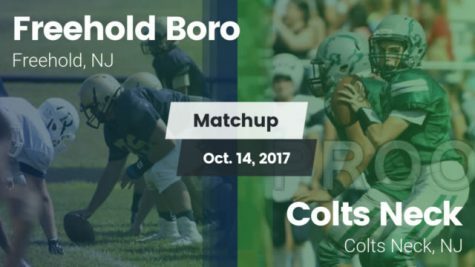 Howell, ranked five in the Shore Conference goes on to host Middletown North for a Saturday night game, because of the Jewish Holiday. 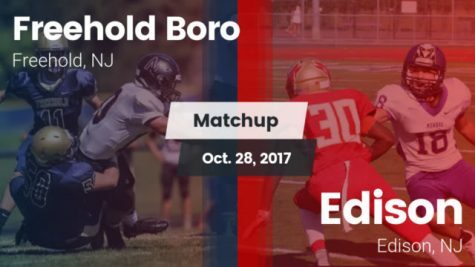 The Colonials, ranked seven will play a conference game on their home field against the winless Neptune Scarlet Fliers.